The 2015 Mercedes S600 will make its official debut in Detroit next week, but apparently it has made a bit of an early appearance in brochures. You'll be shocked at how it looks, if you have a low threshold for being shocked. 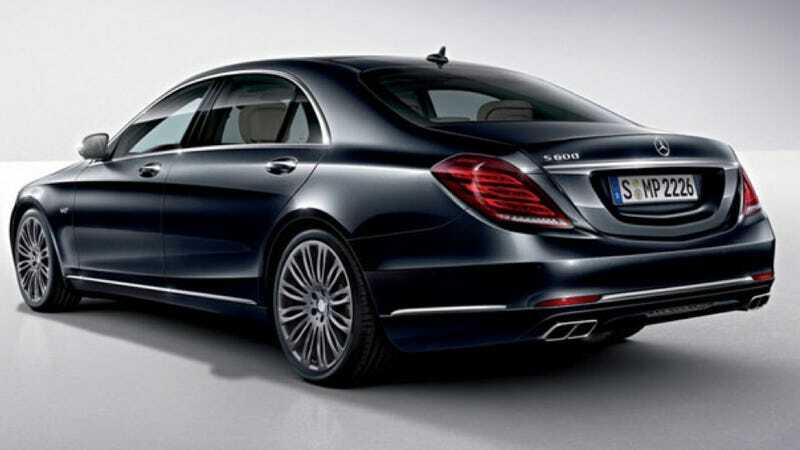 Instead of S550 badges, the S600 has S600 badges. There's also a V12 badge on the side. That probably, I'm going out on a limb here, means it has a V12 under the hood. It also has quad tailpipes instead of just two. It should have something in the neighborhood of 530 horsepower and 612 pound feet of torque when it goes on sale, all sailing through Mercedes's delightfully named 7G Tronic transmission.